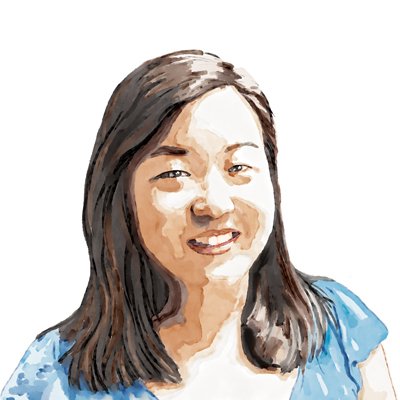 Janet Choi runs product marketing and content at Customer.io. She loves nerding out about email, marketing that grows customer relationships, and humanizing customer communication. The energy was high at CloudApp’s Monday morning all-hands meeting. The sales team had closed a few large deals for the visual communication product that week, and the entire company gathered to review revenue numbers. But they were surprised to see they hadn’t grown as much as they thought. Churn was dragging down their newly expanded revenue, and that was when Scott Smith, VP of Sales, realized he needed to shift his focus to customer retention. The company set a target of 2% negative revenue churn, and Scott and his team began to focus on two new objectives: first, to stop customers from leaving the app, and second, to persuade loyal users to open their wallets a little more every month so those revenue gains would overtake any remaining churn-related losses. Lately, they’ve been optimizing the ways they communicate with customers via email, in-app notifications, and other marketing messages and product experiences. These investments have paid off, and CloudApp now hits its revenue expansion targets consistently. In this chapter, we’ll explore why B2B SaaS companies should invest in data to support retention at scale. In particular, we’ll focus on how beneficial it can be to set up retention communication systems and email marketing campaigns that automatically nudge current users toward their goals, encouraging customer loyalty. We’ll also take a look at specific retention strategies from three companies that do this well. Scott Smith shows how he and his teammates at CloudApp automatically send hyper-targeted feedback surveys to learn about their customers’ goals. 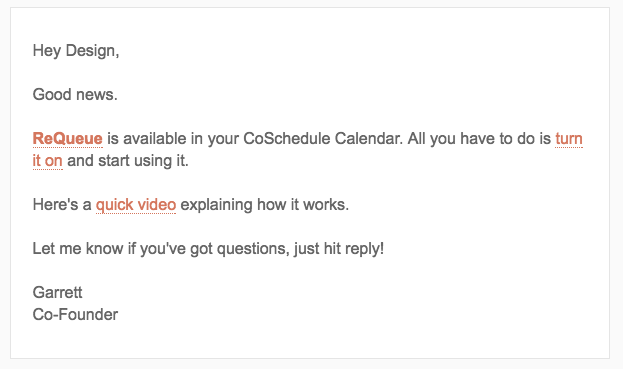 We also hear from Lance Hendrickson and Eric Piela at CoSchedule, who figured out a better way to send emails that encourage feature adoption. Max Blaha at AdRoll shares how his team creates useful performance digest emails. In the stories that follow, you’ll see cross-functional teams tackling retention experiments together. The tricky—and perhaps wonderful—characteristic of retention is that its mission spans across roles and disciplines, including marketing, growth, product, sales, support, customer success, business intelligence, and data analysis. This coordinated effort forms the backbone of your future recurring revenue. Here’s why investing early in retention systems pays off so well over the long run. Retention often sits in the shadows of acquisition marketing and growth hacks. Nearly all of the 6,324 B2B software companies that were building marketing tools in 2016 created acquisition services; 8 out of 10 growth marketing blog posts are about acquisition; and 1,218 C-level execs and founders report that they spend nearly 75% of their time on acquisition instead of monetization and retention, according to studies by Price Intelligently. But subscription SaaS businesses reap most of their revenue after acquisition marketers have done their jobs. To illustrate why retention is so important to SaaS revenue, Bill Young compares three hypothetical companies that each sell the same $100 subscription. Company C has a 95% retention rate and sells 1,000 subscriptions per year. It makes less money in its first three years of business than Companies B and A, which sell 1,200 and 1,400 subscriptions per year and have retention rates of 85% and 75%, respectively. 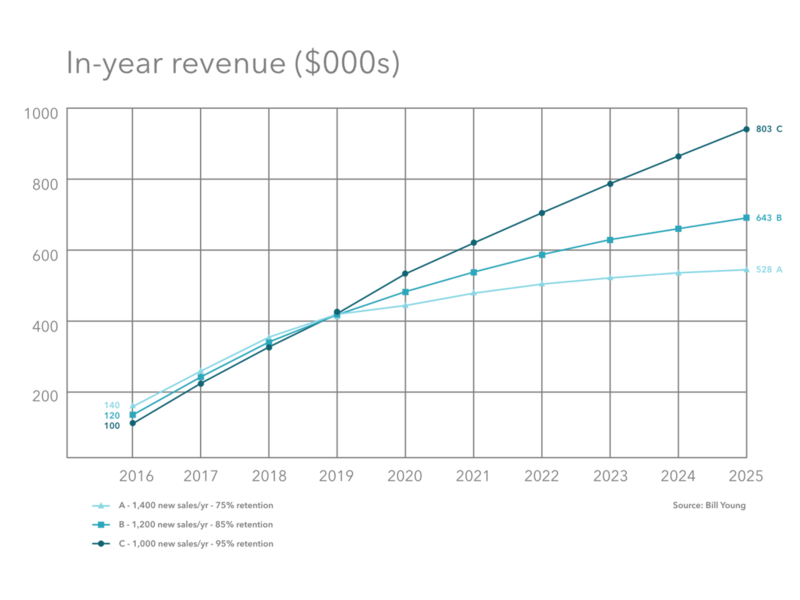 But that changes in year five, when Company C overtakes and starts generating the most revenue from there on. By year ten, it’s earning 18% more than Company A. The low churn rate makes up for fewer annual sales, and over the years, “even a 20% increase in new sales isn’t enough to offset a 10% decrease in retention,” Bill writes. How can SaaS businesses maintain low churn and make up for lost customers by growing existing accounts? The core strategy is simple: communicate to users how they can solve their problems with the product. An important part of retention is the work of building and improving the product itself to increase its core value. But the overlooked pin that holds retention efforts together is effective communication with existing customers, which should be all about how to help users achieve their goals. When you craft retention emails, in-app notifications, surveys, and tests, remember that your success is tied to customer success. It saves you from being swayed or distracted by vanity metrics and superficial measurements around “engagement”—a buzzword that can mean very little when you’re not careful. Beyond logins, pageviews, and message opens is a customer-centric view of engagement, rooted in the very real-world question of whether your customers are making progress toward their goals. Of course, helping individual customers with their somewhat unique goals can seem at odds with the typical B2B SaaS objective to scale to as many users as possible. How can you extend the human touch of account managers and customer success teams to thousands or millions of people? How can marketers fulfill the promises they made in their ads, landing pages, and content to every single person that becomes a successful sale? This is where data-driven retention communication comes in as an integral and responsive part of the customer experience. It lets you have simultaneous, personalized conversations at scale—or at least in a more systematic way, so that your team isn’t sitting there trawling through activity logs and sending a patchwork of manual messages. Combine your user data with today’s powerful tools and your growth ideas, and you’ll be able to extend custom attention to many more users at just the right time. Let’s take a look at how CloudApp uses data to automatically solicit feedback, unearth clues about customers’ needs, and learn how to improve their retention systems. It’s one of the most frustrating realities of running a SaaS company to hear that a customer churned because of a missing feature that you offered all along. Scott Smith shares an example of when his team at CloudApp was able to course-correct far before a customer made up their mind to hit Cancel. CloudApp actually already supported this authentication with OneLogin, which ensured the security of user content for organizations that wanted to keep private their shared photos, videos, and GIFs. Julie reached out to get SeatGeek set up with the feature, and all was well in the universe. This seemingly benign micro-interaction is indicative of a trend that often goes undetected at SaaS companies. A customer’s wish or want isn’t being met, and they quietly suffer it unless the company proactively asks for feedback. No news isn’t always good news. A customer who is quiet all year long may be happily plodding along, or they may be racking up small annoyances and dissatisfaction until they leave, and it’s too late to ask them what they need. Passive open-door policies are insufficient when it comes to starting productive conversations that detect those types of issues: “You’re welcome to contact us any time! Here’s a support email address.” One customer service expert has found that only 4% of dissatisfied customers voice complaints to businesses, while support emails tend to focus on immediate troubleshooting. So when you consider your (many) quieter customers, then you have plenty of “under-the-surface” feedback to explore, which may have deep implications for your marketing and product experiences. CloudApp proactively solicits feedback from customers to avoid that fatal silence. They don’t just send a blanket-style survey to their entire user base once a year. Instead, they set up data-powered surveys that are automatically triggered to a subset of users when they perform certain actions or hit retention-related milestones in their lifecycle. This makes the feedback more timely and meaningful. 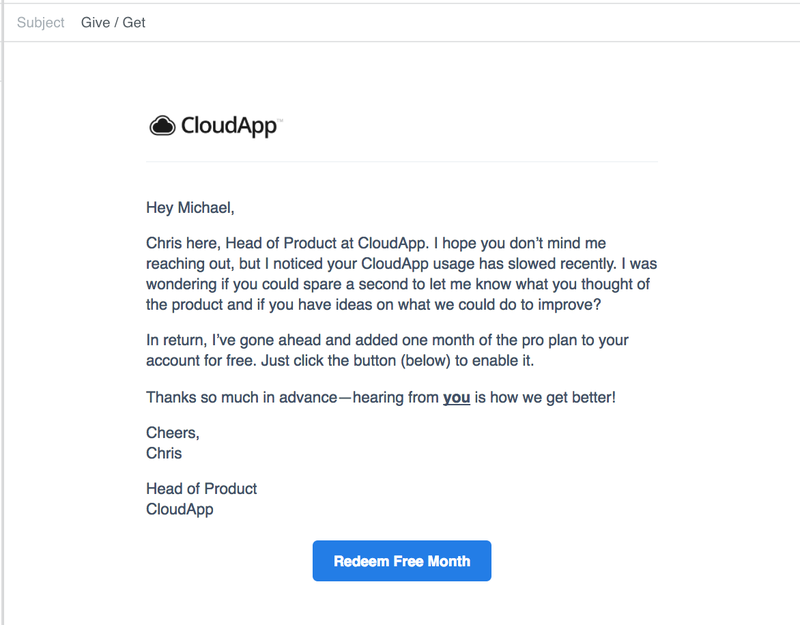 Let’s look at two examples of automated retention feedback at CloudApp that have shown high customer engagement results. 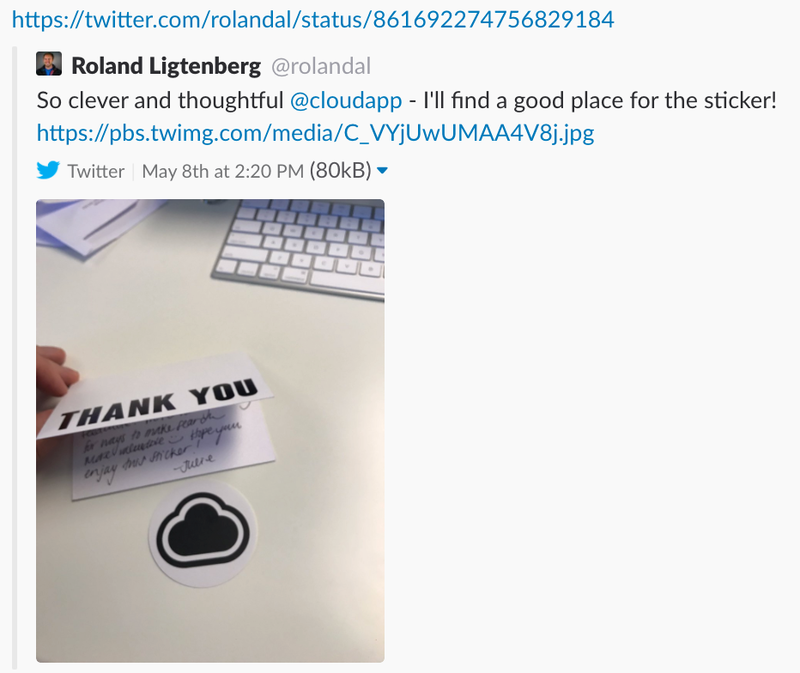 The Sticker Campaign: What do new users need from CloudApp? The first is their delightful Sticker Campaign, which gets new users up and running, using a customer retention email combined with a survey and a token of appreciation. Here’s how it works. When a person signs up for CloudApp, five tool tips guide them through the product’s basic features. If they successfully complete all five steps, they get a congratulatory in-app notification and an email that offers to send a little gift of stickers in the mail. And that’s how Scott’s team began collecting the deepest hopes and dreams of their most engaged new users who had completed all key actions in the onboarding process. They receive around 500 survey responses per month, with the email boasting a 76% open rate and 37% click-through rate. “That’s a huge amount of information from our customers. We automatically filter it into our product management solution so we can see what people want in aggregate,” says Scott. A Zapier workflow sends the responses that have text in the fourth and fifth fields into productboard. Then the engineering, product, and customer success teams review the sticker feedback every two weeks. Julie consolidates the sticker responses and looks for prospective high-value users, so they can reach out to them directly and help them with what they need. The engineering team uses productboard to bucket and rank feature requests by priority of user cohorts, and by how a feature fits into their broader vision for CloudApp. Based on what they learn from previously unspoken customer feedback, they can make adjustments to their marketing messaging, customer success documentation, and product to improve the experience for future users. For example, CloudApp’s onboarding emails for teams currently show off the OneLogin feature so new customers don’t miss it. CloudApp’s Sticker Campaign opens a line of communication at a delicate time in customer onboarding—and makes it fun. Customers love it. Sure, mailing stickers and handwritten notes is labor-intensive. But thanks to data, CloudApp can offer this to just the right slice of users at the right moment. “It’s probably less than a dollar per user. If we get a tweet, email, feature request, or someone excitedly sharing their experience with their team at work, it’s great for us,” says Scott. It’s important to catch those warning signs and automatically act on them, because when a customer stops logging into your app, that means trouble. A study of one million SaaS users showed that nearly all churned accounts were preceded by a period of non-use. And then comes the offer: “In return, I’ve gone ahead and added one month of the pro plan to your account for free.” A bright blue button entices the user to click back into the product and redeem their free trial of the premium plan. This campaign, delivered at the right time with a nice incentive, is very effective in bringing people back to the product. “We’ve seen about a 45% open rate on this email, a 3.4% click-through, and a 37% conversion-to-activity rate—that is, a user started using the product again and created a piece of content with CloudApp,” says Scott. But over the last three years, the company has evolved into a tool for teams. There are now different subscription levels with distinct pricing, features, and customer service tiers. Eric Piela, Head of PR and Community, explains that as they’ve moved upmarket, their customers are having more conversations with sales and success teams. “Those exchanges are about learning how customers are leveraging the platform and seeing where there is the most room for growth,” he says. That problem-solving ability should be available to all customers, whether or not they have dedicated account management. “People ‘hire CoSchedule’ to do a job for them, and that means we need to fulfill whatever promise we laid out during the sales journey or onboarding process,” says Lance, Head of Customer Success. So the CoSchedule team designed a set of lifecycle emails that would hold a user’s hand as they onboarded and then beyond into mature stages of their lifecycle, showing them how to take full advantage of features or introducing more advanced upsell subscriptions. Over three years of A/B testing and iteration on these emails, they’ve found a few techniques that effectively pull customers deeper into the CoSchedule universe. The key is in the call-to-action (CTA): a clear explanation of “what’s in it for me” for the reader and a focus on just one CTA per email. The team learned the hard way with an email that simultaneously showed off five of CoSchedule’s integrations with five direct links where the user could set them up. As CoSchedule leads a customer deeper into their product or higher on the subscription plan ladder, if there are two goals for the customer, they simply send two emails—and that’s perfectly fine. “If it takes two emails to send them to two different places, we’re okay doing that, because they’re very targeted and specific,” Lance says. For example, one successful upsell campaign automatically encourages a hyper-targeted subset of calendar administrator users to add on a ReQueue feature to their existing calendar plan. ReQueue is a data-driven social automation tool on their platform. It’s available to certain subscription levels as an add-on, and requires the calendar administrator to enable the feature. Rather than bombarding account administrators with information about ReQueue while they’re just getting set up with their new subscription plan, CoSchedule uses time buffers, multiple angles on introducing the feature and its setup, and responsiveness to whether the administrator has actually turned on the feature or not. As soon as a customer upgrades to a calendar plan that has ReQueue available, the campaign starts to tick. There’s a buffer of two hours before the calendar administrator (and only the calendar administrator) receives the first of a three-email series with a CTA to enable ReQueue. If they haven’t done so one day later, they send a reminder, and again two days after that. And if the customer enables ReQueue at any point during the drip campaign, they’ll stop receiving more messages. The ReQueue campaign has driven a significant amount of feature adoption. “Because of the narrow focus, it’s been pretty successful. We have a 58% open rate and a 9% conversion rate (turning ReQueue on) for this campaign,” Lance shares. By introducing a secondary feature later on in the lifecycle rather than bombarding a new user with all of CoSchedule’s cool offerings up front, the company makes it easier for customers to learn about the tool progressively and take one step at a time to deepen their engagement. It reminds customers of its value at just the right moment. Max Blaha manages growth for ad retargeting platform AdRoll, where he approaches retention with the understanding that it’s important to regularly communicate with their customers and provide suggestions to help them get their money’s worth from the platform. The inbox remains an important battlefield, because one of their goals is to make AdRoll a great experience even when someone is not logged in to the platform. “We’re trying to attack retention from a marketing angle, and we’re working very closely with our product team,” says Max. They use Appcues to offer helpful notifications within the AdRoll app itself, and rely on Customer.io for triggered emails that contain useful stats and actionable suggestions. 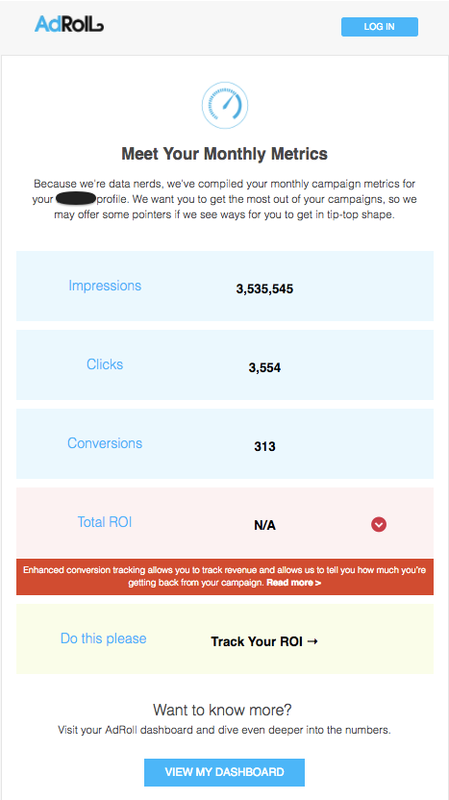 Meet AdRoll’s automated performance report, for example. 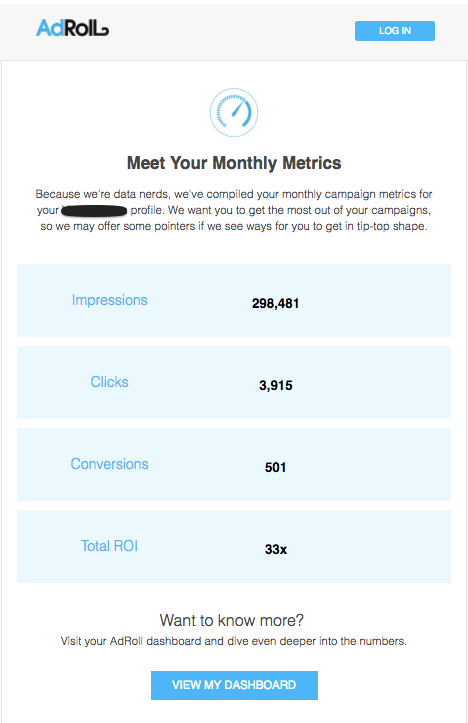 AdRoll sends customers a personalized snapshot of their stats on the platform every month, with a summary view of total impressions, clicks, conversions, and ROI. 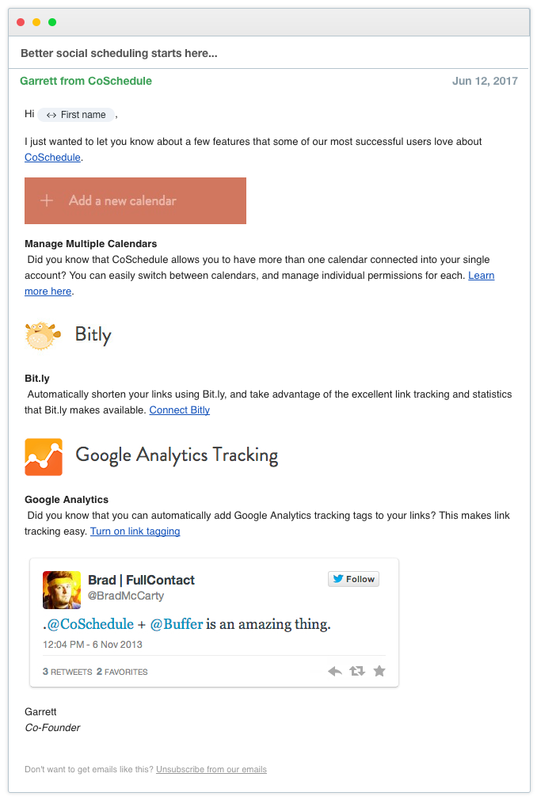 It’s common practice by now for SaaS companies to send digest emails. 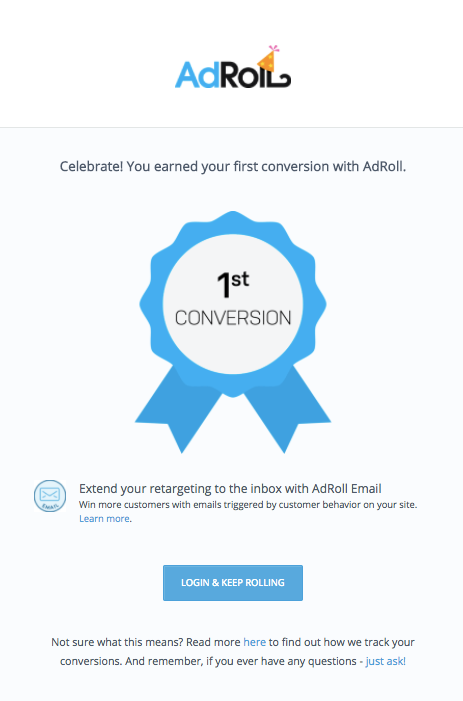 But AdRoll goes the extra mile to make sure that theirs are actionable and easy to use. It all starts with accurate data. Max advises not to send digest emails if you’re not confident that the data you’re pushing is correct. AdRoll relies on a BI team to configure the correct data flow, using Segment to pipe usage data from the AdRoll platform into Customer.io. Next, they supplement the raw numbers with actionable suggestions to improve campaigns, including a call-to-action when appropriate and links to corresponding help documentation. This is automatically done in the email using conditional “If/Else” logic with Liquid templating. Some businesses send digest emails that force you to click through and log in to their platform to find a report or useful information, which is an annoying and company-centric user interaction. 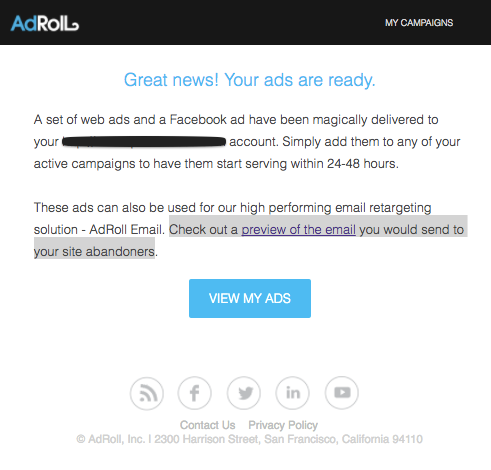 But AdRoll gives users what they need to know at a glance. “Users can see the value of our product without having to log in. It’s a good way to keep them engaged,” Max says. To help customers reach their goals year-round, they meet them where they currently are, even if it’s outside the app. Their personalized report is a far cry from a one-size-fits-all newsletter with a hodgepodge of content and product updates. Those broadcast emails serve their own purposes, but communication that truly retains customers helps them visualize and understand their own progress, which requires a certain level of personalization. And when you’re communicating at scale, investing in data and actually using it is the only real way to achieve it. All in all, AdRoll reports a 97% annual customer retention rate among their 30,000 users in 100 countries, putting them ahead of the pack among B2B SaaS companies. There are three key ingredients of successful retention efforts: reliable data, an iterative process, and incentives. 1. Lead your retention efforts with your own data. The retention and customer success process is an ever-evolving one for smart companies. For CoSchedule, as Lance explains, the work started by relying on gut instinct and the little bit of data that was available. But this year, the company has specifically invested in data, teams, and more sophisticated resources to be able to influence behavior and trigger messages like their ReQueue campaign. Your own data is what helps inform your hypotheses for how to improve the customer experience, and shows you where you can find leverage points within your opportunities for growth. For instance, when the CloudApp team took a closer look at product usage data in Woopra, they found that the most active and well-retained users—those that stay with CloudApp for longer—use screen recording rather than the popular screenshot feature regularly. “Doing some research lately, we can see that most people don’t subscribe to CloudApp off of screenshots,” says Scott. “We can ask, how can we use that behavioral information to make people happier?” The team realized they should emphasize screen recordings rather than screenshots in their messaging. When you have data, you can learn about how to deliver more value and create a positive feedback loop from talking more with your customers and gaining more valuable data from your wins and fails. And Max from AdRoll adds that this landscape of platforms and tools often doesn’t require a dev team for setup. As a marketer who typically spends time running growth experiments, he can quickly prove concepts and iterate on them until they get enough traction to either set it and forget it himself or send them to product and engineering teams to build out. The positive event harnesses positive feelings to create momentum and motivation. “You can capitalize off a high, when someone’s going to be the most receptive to take action that you want,” Max says. Here’s the email he’s referring to, which cross-sells to AdRoll Email. 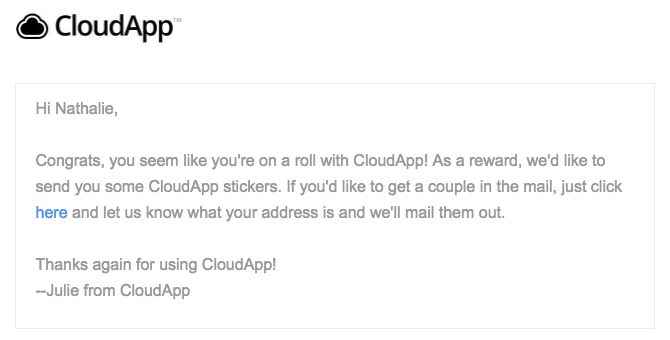 CloudApp is also a master of “a spoonful of sugar helps the medicine go down.” Recall how they bundle their request for feedback with a congratulatory email after a user completes onboarding, complete with an offer for stickers. And for at-risk users, they pair their feedback request with one free month of their service. Retention and churn are often discussed in the same breath. But churn itself is a symptom, rather than the root problem you’re solving for. Churn prevention and the overall work of retention starts way at the beginning, by building healthy habits that benefit the customer rather than just treating the symptoms and throwing out a lifesaver at the very last minute. When you invest in your customers’ goals from the minute they sign up for your product, nurturing them even after they’ve handed over their credit card once or twice, you’re investing in the long-term health of your own business. Productive customers stay with you longer, and in the SaaS world that means you’re collecting profits as soon as you recoup your acquisition costs. And you can grow them into larger accounts in an automated, personalized fashion by flowing the right data into the right communication tools. So that’s the key: create happy customers by helping them accomplish the goals that motivated them to come to your product in the first place. That’s always going to be welcome in a user’s inbox, and that’s what will get them to stick around. Even a 20% increase in new sales isn’t enough to offset a 10% decrease in retention.